The Governing Body oversees the conduct, curriculum, standards and budget of the school and has a duty to monitor the way the school is developing. Mrs J Deacon – I have been a parent of children at Engayne since the eldest of my four sons joined reception in September 2004. My youngest son is still a pupil today. My professional background is in Law and I worked for many years as a personal injury lawyer in the city, before taking a break to raise my children. I joined Engayne Governing Body in 2010 as a Parent Governor. I became the Governor responsible for monitoring the curriculum and went on to chair the Leadership and Management Committee. In 2015 the position of Chair of Governors became vacant and I was honoured to be elected. At Engayne we believe that every child has the right to learn in a safe and happy environment which enables them to fulfil their potential academically but also become confident, well rounded and happy learners for the future. I am proud to be part of the Governing Body and support the school in achieving its vision, aims and values. I am also the Chair of Governors at Branfil Primary School. Mrs N Francis-I have two boys at Engayne Primary School and have been a parent governor since November 2015. My working career has always been in education and I have many years of experience. I am a PE teacher at a local secondary school in Havering. My teaching career spans over 18 years across many diverse boroughs including Newham, Thurrock and more recently the last 7 ½ years in Havering. The responsibilities I have held in my teaching career have included Head of Department, Head of Year & Key Stage 3 Leader. It has been in recent years since having children and raising my own family that I now work part time; my responsibilities are Gifted & Talented (G&T)/More able in PE. Just like every parent at Engayne Primary School, I want the very best for Engayne children. I want them to be happy, responsible, confident, and respectful and be able to persevere with their life at Engayne and beyond. It is a privilege to be part of Engayne’s Governing Body and to work with other Governors and the school to ensure that all of Engayne’s pupils have the opportunity to reach their full potential. It is important that as a Governing Body we work with all stakeholders to support them and implement ever changing government policies in circumstances where stretching resources are a challenge. 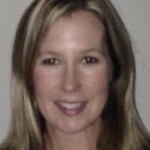 Mrs L Gunther-I have two children at Engayne Primary School and have been a Parent Governor since February 2013. I am the Chair of the Teaching and Standards Sub-Committee and one of two Governors jointly responsible for data assessment within the Governing Body. Most of my career was spent in business development including strategic direction for professional service organisations; I now work for the Education Department at the Diocese of Brentwood, with particular focus on training and inspections within primary education. It is a real privilege to be part of Engayne’s Governing Body and to work with other Governors and the school to ensure that all of Engayne’s pupils have the opportunity to reach their full potential whilst enjoying their learning experiences to the maximum. Mr P Harris-I have been a Parent Governor at Engayne for the last four years and am now a co-opted Governor and Chair of the Leadership & Management sub-committee. I have two children in the school, I believe that Engayne is an excellent school and has helped my children reach their potentials. I bring to the Governing body experience in business and staff management, including performance management from my career in Charities and in the Higher Education sectors. Working in Higher Education gives me a unique insight into curriculum and assessment management and how the process builds from Primary school to University. I believe I have taken into consideration the effects on parents when making decisions in the Governing Body Meetings as well as the effects on the students and staff which sometimes conflict and a compromise has to be found. 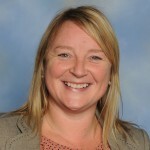 Mrs S Sankey- I have worked at Engayne since 2002 and have been the Head teacher here since September 2012. I have previously worked in Cornwall, Devon and Southampton. I am from Cornwall and often return for holidays to see my family. If I get free time, which isn’t often, I enjoy sports and reading. My children play rugby so I am often standing on a cold touchline on Sunday mornings. Our Engayne motto is ‘Excellence and Enjoyment’. I believe children thrive in a learning environment where they can have fun, be children in a changing world and succeed academically and in the arts/ sport. As a mother of two boys who also attend primary school I completely understand the importance of the foundations of learning. I also have to remember which day is swimming, when to send in the trip reply slips, hear them read and pay the dinner money! Since becoming the Head teacher and with the Governing board we have introduced a forest school where the children can learn outside, built two new garden rooms to utilise space and an outdoor stage, set up a programme to train teachers across Havering with the TES and continually look to improve our school for our children. 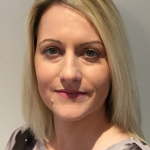 Mrs D Whalley– I have been a governor at Engayne for over ten years, first becoming involved as a Parent Governor while my children attended the School, and was privileged to hold the position of Chair from 2008-2015. I am now a Local Authority Governor and my term of office runs from 8th November 2015 to 7th November 2019. My role within the Governing Body is that of Development and Liaison Governor which involves attending meetings at Havering and elsewhere to ensure up-to-date knowledge of Governance issues, and making sure that our Governors are receiving any training necessary to help them fulfil their roles. I also am linked to the Year 4 children and will follow the cohort as they move up through the school. 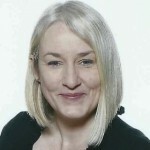 My professional background is in education: I taught for 25 years at different schools in Havering in a variety of roles, taking particular interest in special needs education and literacy intervention programmes. However I have recently left teaching to further my own studies, and am now researching for a Doctorate in Education at the University of Cambridge. I am also a Governor at Harold Court Primary School. 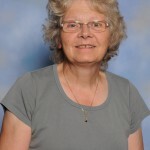 Mrs N Holland – I worked at Engayne Primary School for over 20 years and feel this has given me a broad insight into the everyday working of the school from Reception to Year 6. Both my daughter and son attended Engayne and received a valuable education, this allowed them to successfully go on to both secondary school and university. Following my retirement I was honoured to be asked to become a Governor and I very much look forward to serving the school. My special responsibility is Pupil Premium. I believe the experience of working for many years in the Special Educational Needs Department, which included the delivery of many intervention programmes, will hopefully prove useful in supporting the pupils and staff at Engayne. Additionally I am assigned to Year 5 and look forward to following their progression through the school. 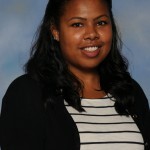 Mrs K Ramduth -Having successfully completed my teacher training at Engayne in 2016 I have gone on to become part of the teaching staff. I have an interest in all areas of the curriculum, particularly music. I am part of the music team and help run the weekly school choir. I have been staff governor since September 2017. Mark any correspondence for the attention of Mrs J Deacon, Chair of Governors, Engayne Primary School.